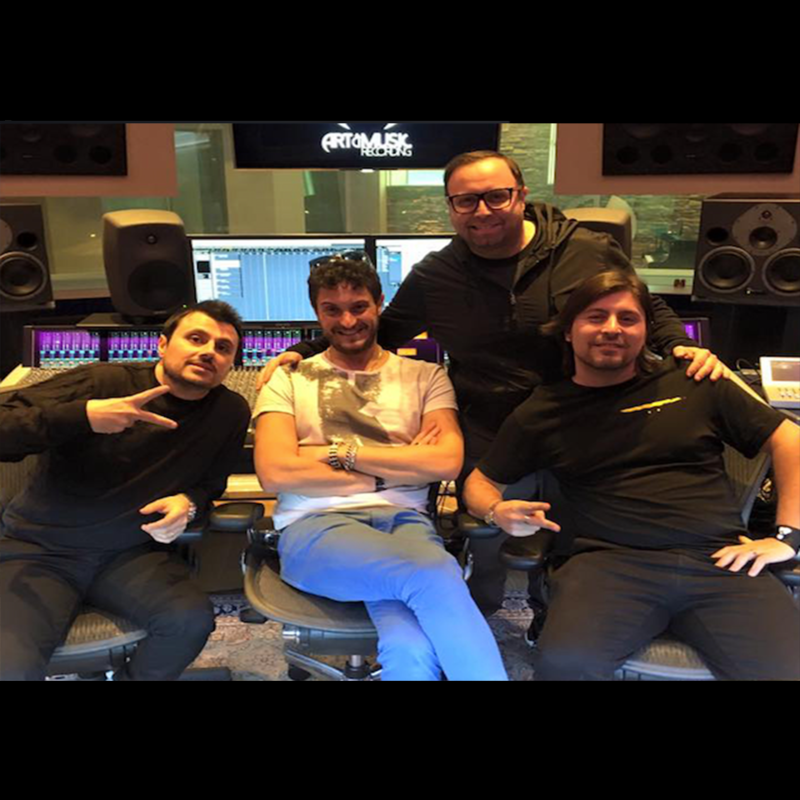 Signed to Spinnin’ Records, the Italian House music group Daddy’s Groove have done loads of incredible collaborations with worldwide known DJs and musicians such as Axwell, B.o.B, Enrique Iglesias, James Blunt, Kylie Minogue, Laidback Luke, Louie Vega and Sebastian Ingrosso just to name a few. Pretty relevant has also been their collaboration with EDM’s king David Guetta for the album “Nothing But the Beat”. Tony Ciotola, founder of Wonder Manage, the booking agency representing worldwide-known artists including Martin Garrix, Hardwell and Tiesto, was also with us in our Studios! Art&Music Recording is a record label, booking agency, publishing company and recording studio founded in 2002 by Dr. Shiver, CEO and partner together with Omar Zenzon. The label’s focused on dance music, especially House, Progressive House, Electro House, Deep House, Future House, EDM, Pop Dance and Trap Music. Art&Music Recording is currently supported by top djs such as David Guetta, Tiësto, AVICII, Martin Garrix, Hardwell, Steve Aoki, Dimitri Vegas & Like Mike, Nicky Romero, R3hab, W&W, Borgeous, Don Diablo, Fedde Le Grand, Blasterjaxx, Ummet Ozcan, Sander Van Doorn, Danny Avila, Quintino, Tom Swoon, Dannic, Benny Benassi, Thomas Gold, Sick Individuals, MOGUAI, Timmy Trumpet, Morgan Page, Cosmic Gate, Cedric Gervais, Hard Rock Sofa, Daddy’s Groove and many more.